After a short notice, Dan Miller is set to face Rousimar Palhares at UFC 134 in Rio de Janeiro. Going on with a long trend of stepping into bouts on a short notice, Dan Miller was tapped to face Rousimar Palhares at UFC 134. 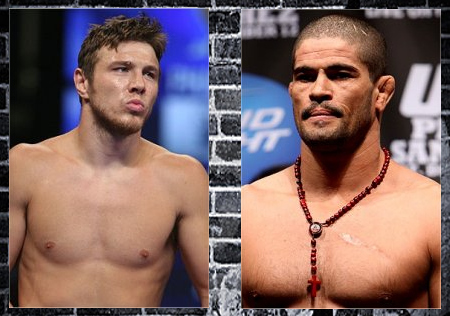 The latter was supposed to meet Alexandre Ferreira before being removed from the bout due to undisclosed reasons. Dan Miller is coming off a unanimous decision loss over Nate Marquardt at UFC 128. The latter was expected to lock horns with Yushin Okami, but the Japanese MMA fighter bowed out from the bout following the Japan earthquake and tsunami incident. Dan Miller carries a 13-5 record, with one No Decision on his professional career. Rousimar Palhares, on the other hand, will attempt to have his second straight win after submitting Dave Branch last March. He is carrying a 12-3 record, and has won four of his last five bouts in UFC. The UFC 134 – dubbed as UFC Rio – will kick off in Rio de Janeiro, and will feature a middleweight title bout between reigning champ – Anderson Silva – and Yushin Okami.